The Cuyahoga Falls Mayor’s Youth Advisory Council is a unique collaboration between the Mayor’s Office and our future leaders of Cuyahoga Falls. The purpose of the program is to encourage students to become active participants in their local government and community by working with city leaders to address issues that directly affect young people in the city. The panel will sit with the mayor and various city department personnel to have open discussions about what matters most to them, how they would like to see the city move forward, and what role they can play to affect change. The Mayor’s Youth Advisory Council will be involved with city council meetings to gain personal insight into how local government works. The group is also asked to complete an act of service for the community prior to each meeting. The program begins in February of each year and meets twice monthly prior to city council meetings for approximately 4 months. Applications and parental consent forms are due by Friday, December 21, 2018 to the Mayor’s Office at City Hall, 2310 Second Street, Cuyahoga Falls, Ohio, 44221. For questions or additional information, please contact the Office of the Mayor at (330) 971-8200 or mayor@cityofcf.com. 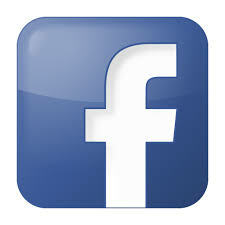 Follow the CF Mayor's Advisory Youth Council on Facebook!